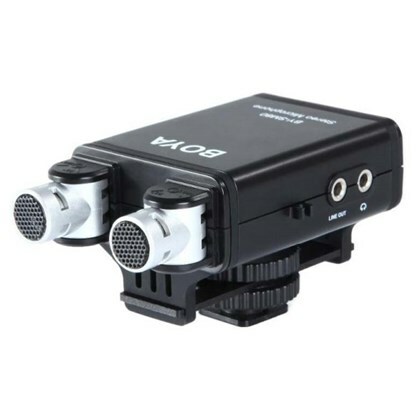 The BY-SM80’s high Signal-to-Noise Ratio and excellent sensitivity assure superb, clean, and true stereo sound for live action, interviews, and documentaries. 90°/ 120° Pickup patterns allows you to fine-tune your audio capture according to the setting. It includes an earphone for monitoring sound. Plus, an included windscreen enhances audio-quality further by cutting down on wind noise pickup.